Despite the inclusion of many works of artistic and technical accomplishment, the overall tenor of the show is neutral, with no particularly groundbreaking or innovative works distinguishing themselves from the rest…. Here I must pose my first questions. 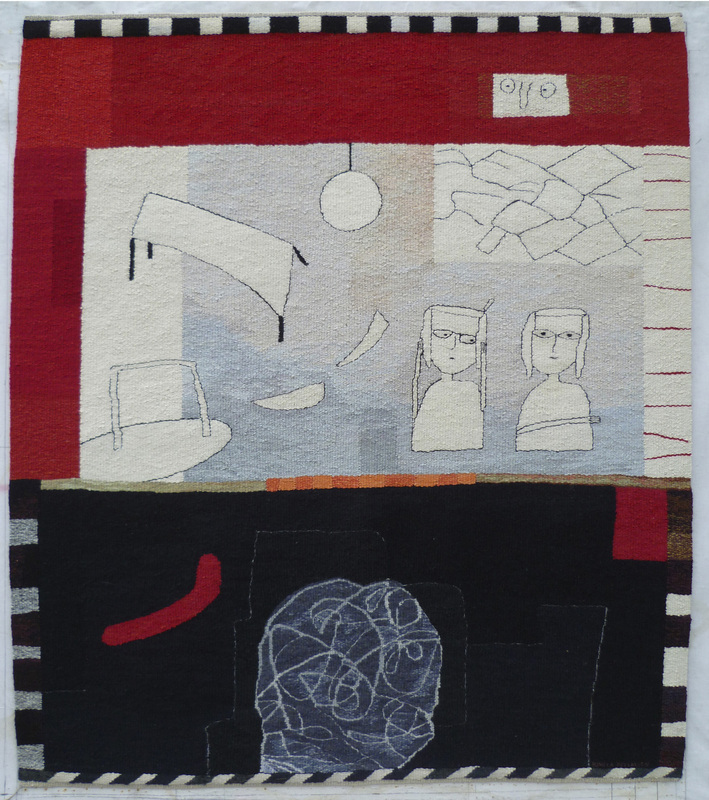 Are we as tapestry weavers defining ourselves in a restrictive and stifling environment? Or are we side-stepping the dilemmas of identity that might arise out of these more pluralistic approaches? As a tapestry maker, I found the simplicity of this definition quite reassuring in that it seems to establish the physical presence of tapestry’s material identity as a strong and viable link between the works in the exhibition and suggests that the physical construct of weft-faced tapestry is not just a means to an end but that the skillful and thoughtful manipulation of the tapestry structure should be an undeniable component in the success and content of the work. 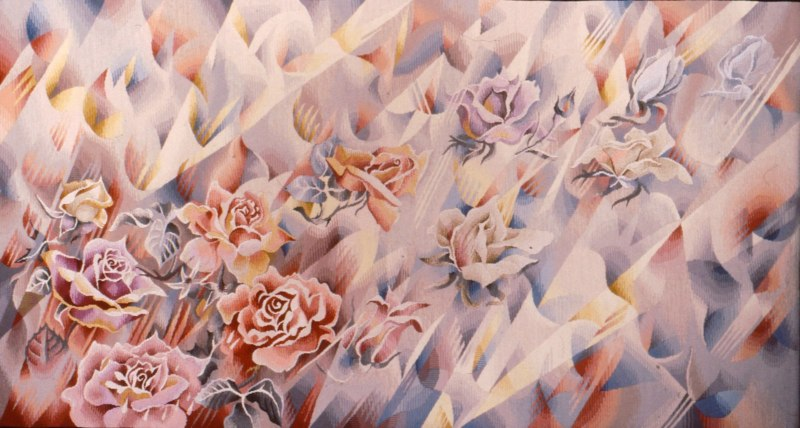 Acknowledging and prioritizing the physical language and tradition of tapestry would seem to suggest that the choice of tapestry as an art making process is in itself a means to evoke meaning and content. 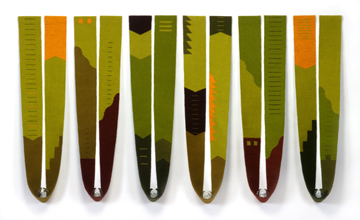 3 American Tapestry Biennial 4 call for entry information. 4 See the following articles for further information: Twylene Moyer, “The Importance of Being Fiber,” Surface Design Journal, Summer 2002; and Diana Wood Conroy, “Curating Textiles: Traditioin as Transgression,” International Tapestry Journal, Winter 1995. 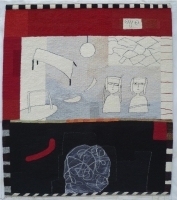 5 Lauren Whitley, “Review: 10th International Biennial of Tapestry,” FiberArts, Nov/Dec 2001, p.60. 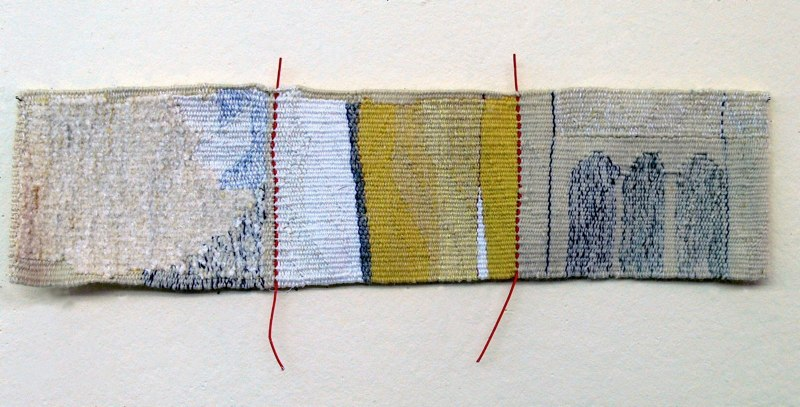 6 Kate Callen, “Tapestry Biennial 4,” American Craft, Feb/Mar 2003, p.76-79.